Manufacture and distributor of Lady's dress, blouse and Jumpsuit. 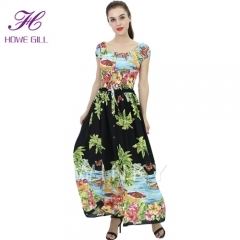 B1626 100% viscose woman casual maxi dress, long dress, Glamour dress. Guangzhou Winky Clothing Co., Ltd. was established in 2008. It is a professional lady's garment manufacturer that integrates product development, manufacturing and sales together. Our sales net covers the whole world. Guangzhou Winky Clothing Co., Ltd.
6) Long casual dress for summer, for beach. 9) Sample can be made with the measurements you provided,and the color you required. 10) OEM service: accept customized designs,cut,sew,sizes,logo,label,and hang tag. 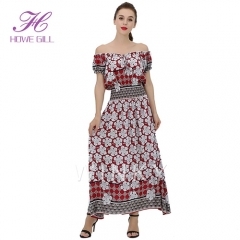 Add: F815-F850, Basement 1, Guangzhou World Trade Clothing City Store, Zhan Qian Road, Liwan District, Guangzhou, Guangdong, China.